More speculative images from Leonar over at Otvaga2004. No Sir. All the modern IFVs has ATGM included the IFVs that you mention. They are not TOW but SPIKE RL that is "fire and forget" missile. ATGM can be defeated especially if they beam rider or radar guide. 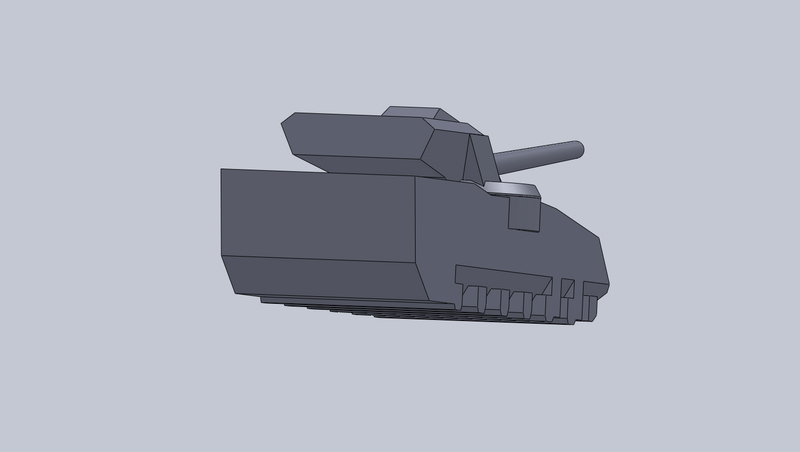 The 30mm will not penetrate the modern front armor of IFVs. APC don’t need to get into fight against IFVs that is not his job, leave it to IFVs and tanks. Nice, its really start to look good. The vehicle behind on the top picture, can it be Coalition? That...looks like a big bustle. By its roadwheels and side, it looks like 2S19Msta? 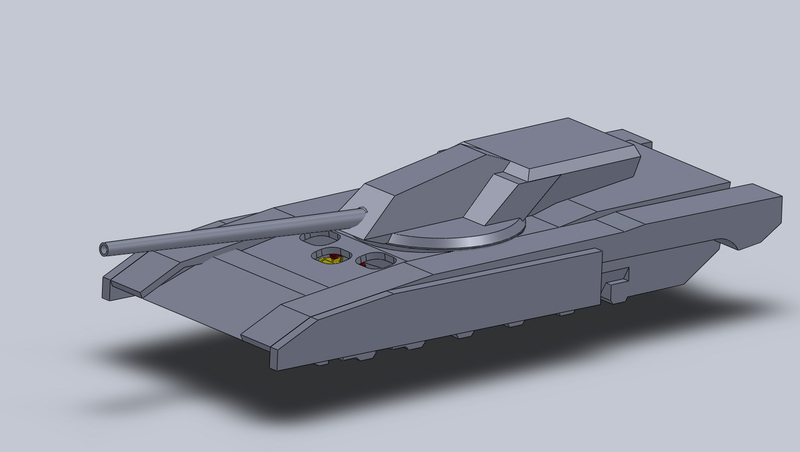 The MSTA-S is based on a modified T-80 chassis while the Koalitsya-SV is based on a modified T-90 chassis. You might find some similarities, but don't be fooled by them. Koalitsya is a turret (not a vehicle). You can have Koalitsya on a wheeled KAMAZ chassis too. I like the serrated side skirts of Coalition. But where are the sensors for Armata? chicken wrote: I like the serrated side skirts of Coalition. The active defenses of armata..and its radars have to be in the highest part of the turret covered..
that it looked as futuristic as the 3d renders of armata in youtube. 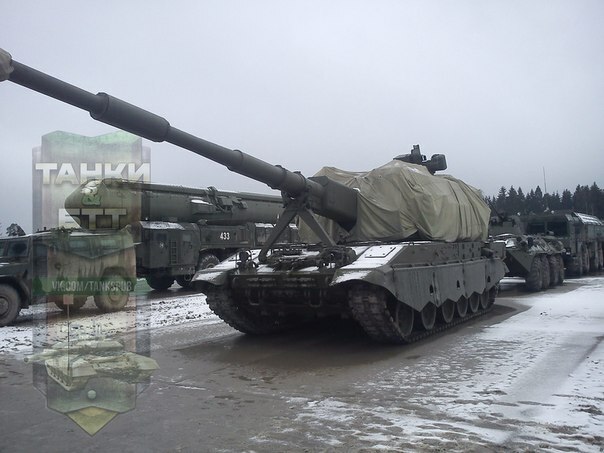 In any case i expect Russia truly paint those tanks are presented very shiny in the victory parade..
Koalition Cannon looks way bigger or longer than previous artillery.. or maybe is just the photo. Will love to see a 152mm cannon for Armata tank and a 220mm for Koalition. 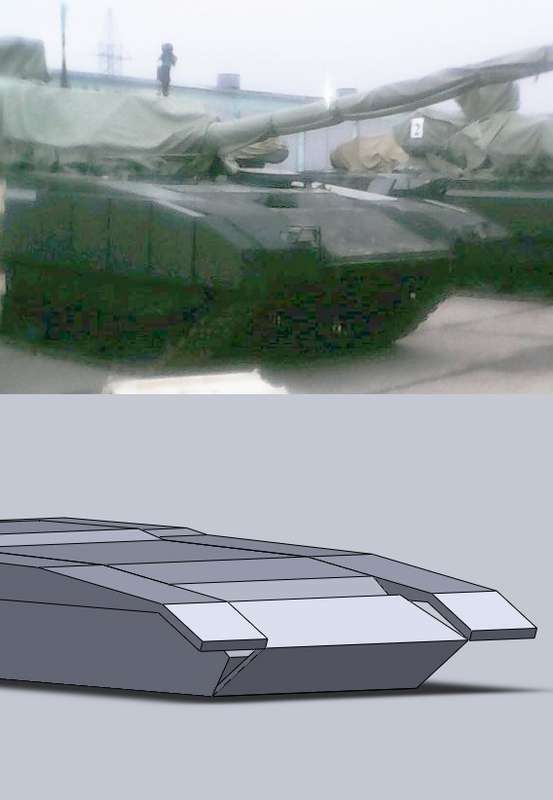 If you look at the pictures now and the pictures from few days ago you will see that it looks like there is already upper hull applique armor, but does not to seem to be ERA. Look on the first wheel and see who tick is the protection there. The one with the yellow bag inside? The area that you mention is what we call “Bazooka Plate”. The Brit makes it as storage place and that’s a good idea. All the armor that you see on the side of the vehicle is “Appliqué Armor”, and not the main one. Protection is not only the thickness of the plates but also who smart they are. No use against even oldest RPG's such thin armor, the gaps won't protect much only ERA helps. One more. 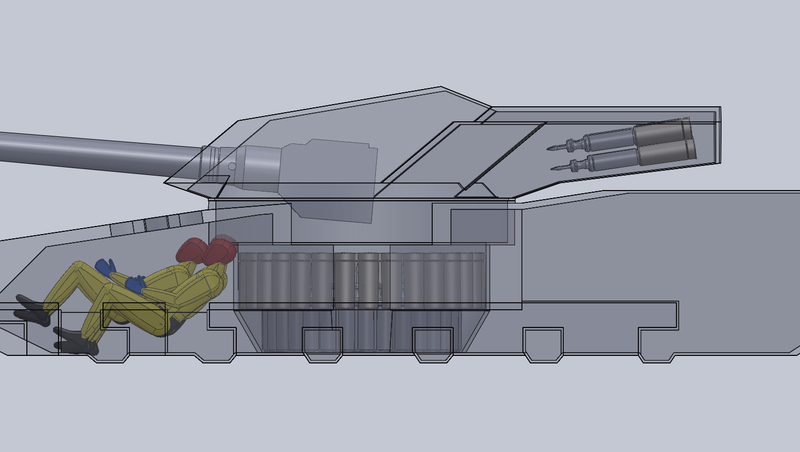 Notice, Armata has dual exhaust, there's a vent on the left and right side of the hull. This image really shows just how much glacis there is in front of the crew. Armata's got some serious frontal armor. First thing that came to mind as well. The spacing behind the ERA is seriously thick. 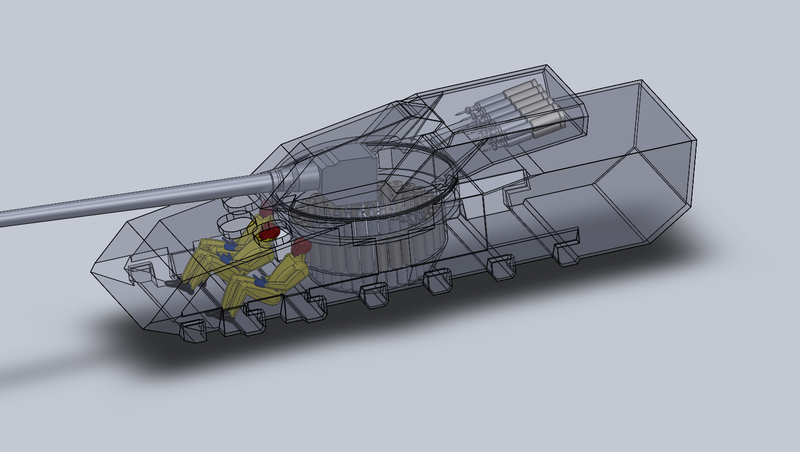 Not sure how thick the capsule sides are however, judging by how close to the hull side the crew hatches are. At least the ERA/side array coeverage is pretty thorough. The vehicle is not nearly as huge as people thought, that much is evident. can't wait till they open the veil. The Bazooka Plates are not going to stop the RPG, but to activate it before its hit the main armor. 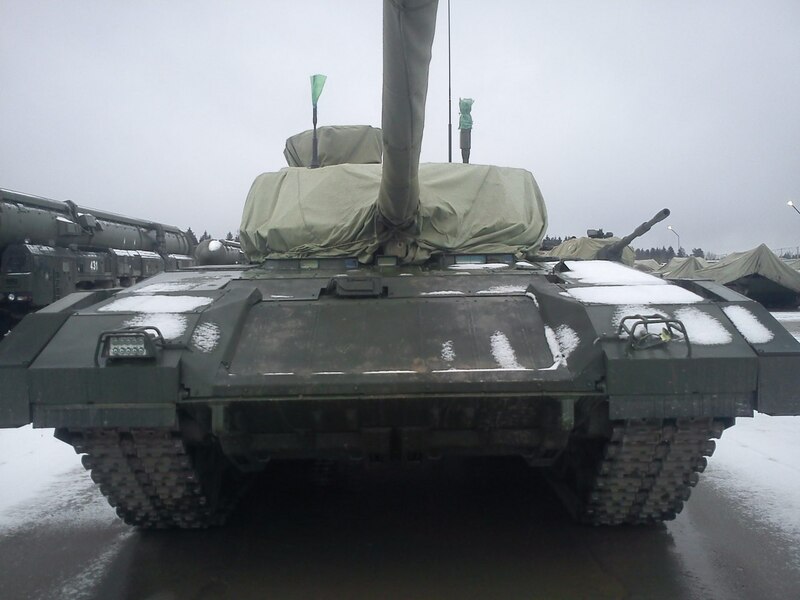 Even on the Armata you can see the plates that have ERA on top of them. I don't like the idea of the carousel that holds the ammo to risky if the tank gets hit. 1. Why they didn't use small loader, maybe for 6 rounds for immediate fire, and the rest of the ammo will be under the floor and reload the small loader all the time? 2. is the round is in one piece, or it has 2 pieces like artillery gun? AJ-47 wrote: The Bazooka Plates are not going to stop the RPG, but to activate it before its hit the main armor. Even on the Armata you can see the plates that have ERA on top of them. Yes, such spaced armor helps to decrease the shaped charges optimal distance to actual armor which it needs to form an optimal penetrator and by that decrease its maximum penetration capability, but on APC/IFV side armor even the weaked shaped charge warhead won't be effected by just spaced armor, it will still penetrate into the vehicle, therefore ERA is necessary. Actually the ammunition behind main armor is far better protected than in unarmored ammunition bustles on turret backside, which is already very weak and can be penetrated with any 20-30mm AP round and igniting its interior. The only problem would be how to prevent in case of penetration and ammunition explosion that the shockwave is reduced to a minimum without damaging armor or killing the crew just through the shockwave, that would be my question. 1. I am not sure appreciated such system would be and it wouldn't change a thing for your concern of ammunition storage in the chassis, you just would have reduced the rate of fire but still have planty of ammunition in the chassis. 2. 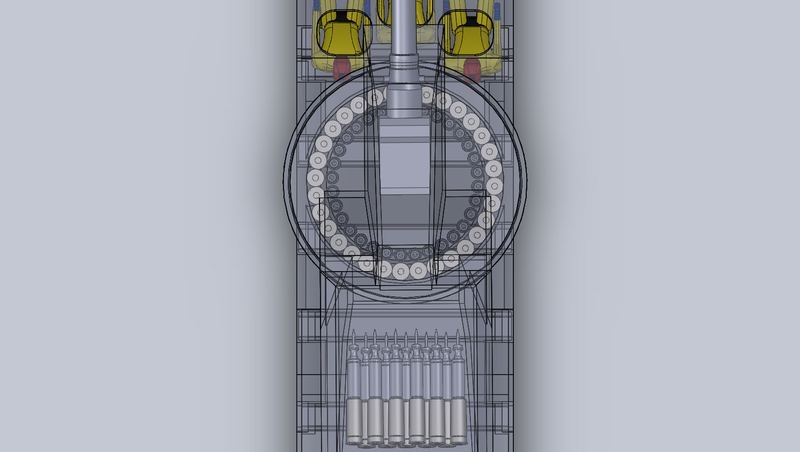 I guess it is one piece ammunition like Grifel that has a vertical loader, maybe with an option for older 125mm rounds of two pieces, but that is all speculation. Beautiful pictures. Another time (after the t-50) you can see details of modern Russian equipment. No condition optimized photos, lights, etc. etc.. American product would never ever seen in these conditions. But they are real photos, not advertising. And I like it once to see the Russian advanced material you could die, but now these photos are history and legend. I like this. Saved photos and next week I'll show you a person quality control Iveco Defence Italy. I'm sure they'll love. T-14 and really well done with lots of solutions invincible. 10 years ahead. Now wait to see the cabin with command information man machine soon. 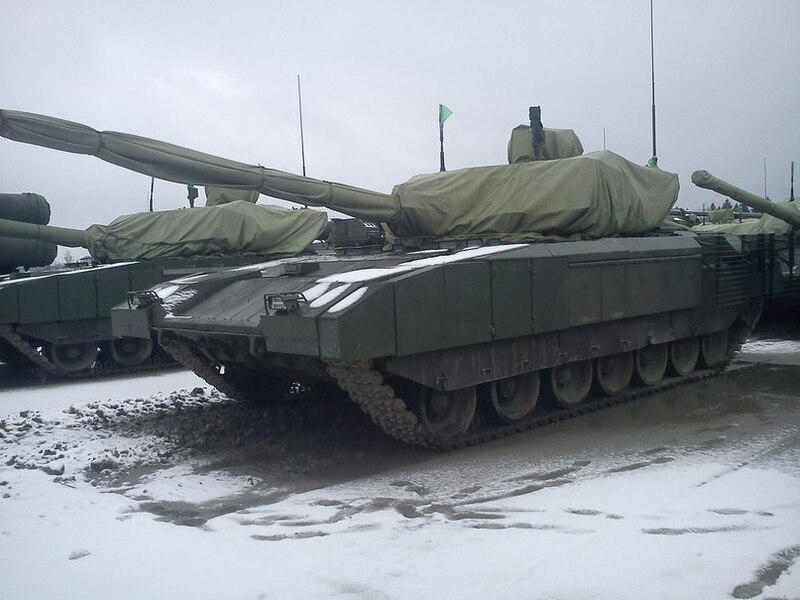 The armata doesn't seem to be any lower than the manned turret T-90s in fact it's quite taller. So much for "ultra low solliuette". The lack of said low profile makes adding no armor to the turret pointless. How about we wait for the tarp to come off before making judgements on the turret....but so far I like it, seems to be well protected. 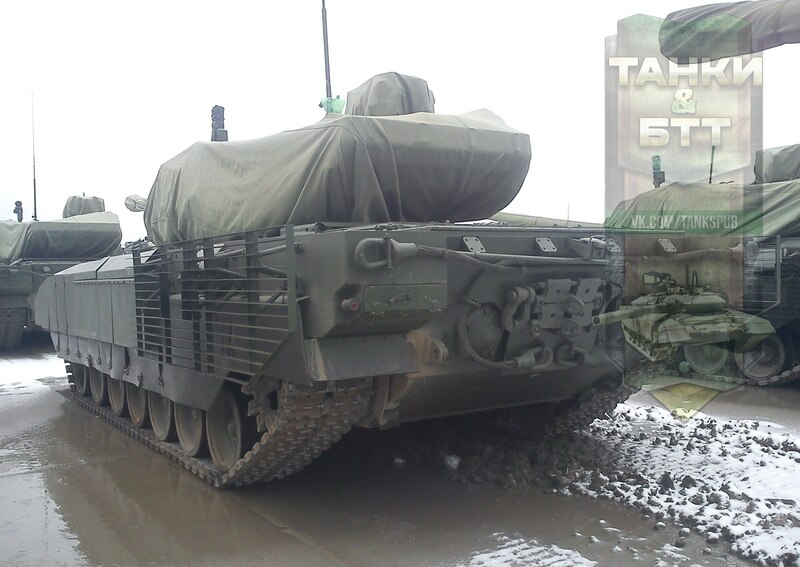 Cyberspec wrote: How about we wait for the tarp to come off before making judgements on the turret....but so far I like it, seems to be well protected. Then what was all that talk how the armata turret didn't need to have any armor because it was going to bo extremely hard to hit? One thing that can be deduced from these early pics is that the armata appears to have a conventional suspension layout by appearing to have vane type shock absorbents on the 1st, 2nd and 7th wheel. Legacy soviet tanks like the T-72/64/80 have similar layout, having shock absorbers on the 1st 2nd and 6th (last) wheels. So the vehicle doesn't appear to have independently damped road wheels like the hydrogas hydropneumatic and suspension on the challenger 2, Leclerc, K2 black panther etc.